Reading articles like The 15 Most Creative Toys from Our Childhoods makes me feel nostalgic. Makes me wish I had kept some of my favorite toys from when I was little. In my day though, when we were tired of certain toys, we would have a “Toy Sale” right in our front porch. We’d sell toys we didn’t play with anymore for $0.50 or $1.00. The neighbors would come down and rummage through our old, worn out toys just like they were at a toy store!! And when they had their toy sales on their front porches, we would rummage through their old worn out toys looking for something “new”. One kid’s trash is another kids treasure…right?? I also wish I had paid more attention when my parents cleaned out their attic (and my closet)! It never occurred to me to pack up old toys that I’d out-grown and save them for my kids to play with some day!!! When I left for college, my parents converted my bedroom to a TV room/den. They sold all of my furniture and any toys that were tucked away in the back of my closet, and if they wouldn’t sell, they were sent to Goodwill! Articles like this also make me want to search on eBay and find these same toys for my kids, so they can experience the same excitement I did as a kid. But…would they enjoy these old classics?? Probably not as much as I did, but there are some modern versions that are pretty similar. And we even have a few… Below are my top five!! Melissa & Doug is one of my favorite toy companies. They make quality toys that my kids always seem to love. 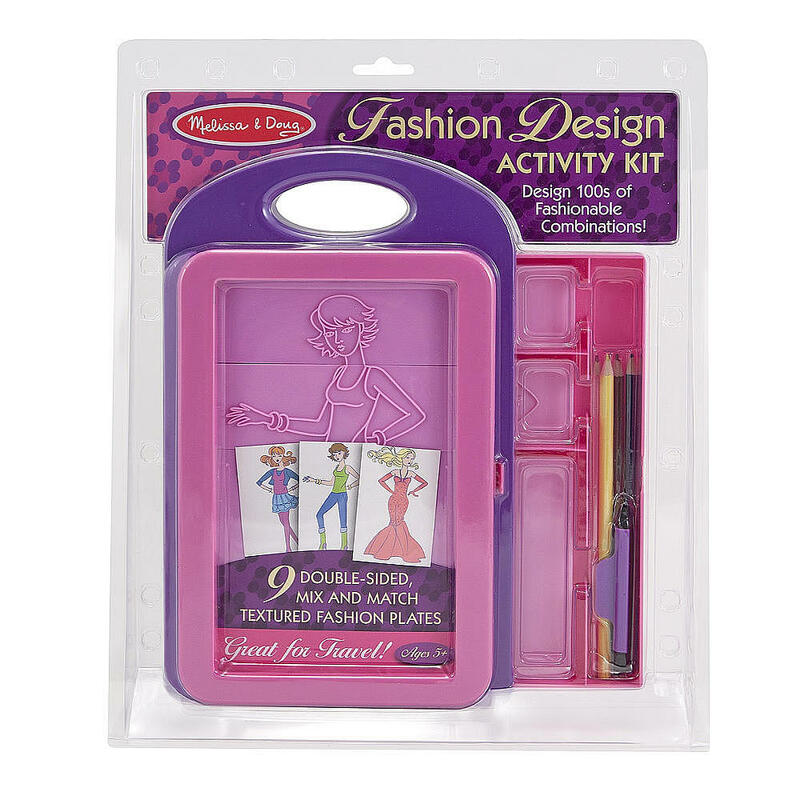 My daughter has their Melissa & Doug Fashion Design Set – it reminds me of the good old Fashion Plates from when I was little dreaming of designing and sewing my own clothes. That dream did not last long, but it sure was fun to play with Fashion Plates during that brief stage. The Melissa & Doug Fashion Design set that Morgan has is really neat – it has a little drawer that tucks right in on the bottom where you can store the fashion plates, colored pencils, crayon, and crayon holder. It has a little handle on top and closes up like a carrying case. It is great to take in the car for long road trips! We also have an updated version of the Spirograph. That was one of my favorites as a child. Hard to believe that it was first introduced in 1965, and it was originally developed as a drafting tool! Who knew… All I knew was that I could play with that thing for hours and create very intricate designs on paper. That toy has not changed much. 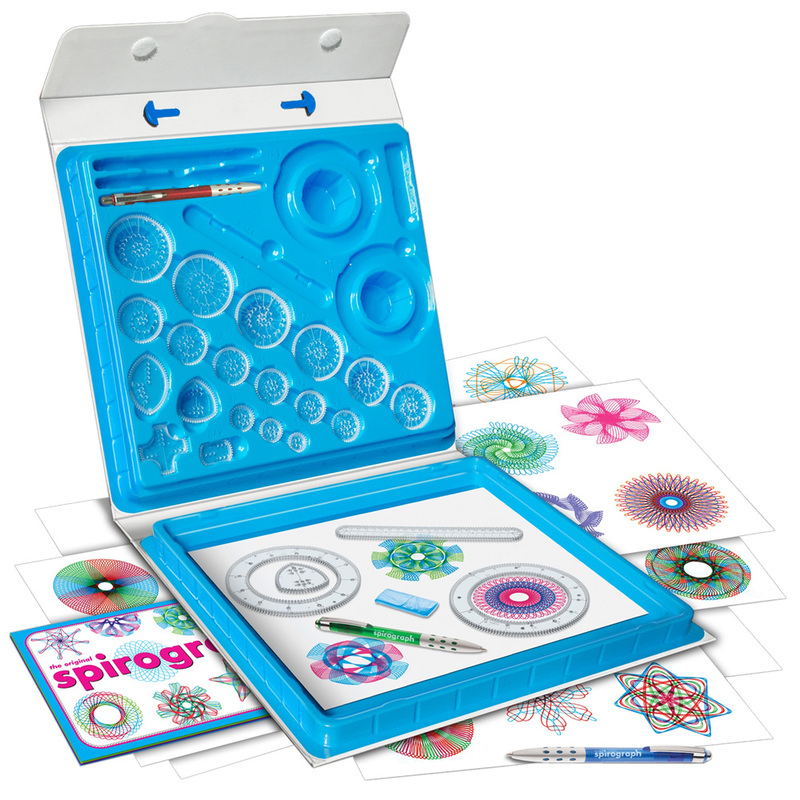 We have the new version, and it seems to me that the only thing different is that the new one called Spirograph Deluxe Design Set, has a very cool carry along case that neatly stores all the design gears and some pens with a built in work surface! 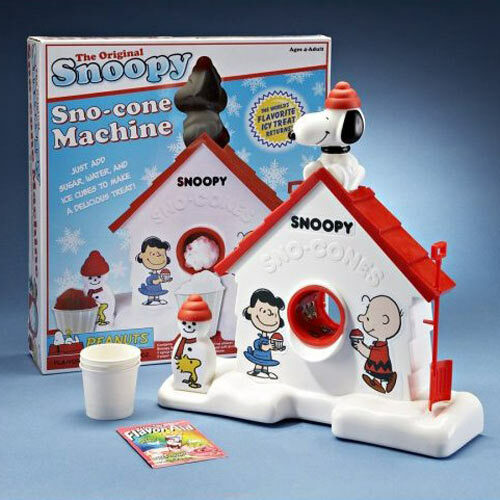 And what can I say about the Snoopy Sno Cone Machine machine? With all the new machines and blenders that make snow cones and slushies, I was really surprised (and excited) to find one of these at Wal-mart. In fact, I think I was more excited about it than my kids were. We bought one, brought it home, and it seemed to me that nothing had changed. We very easily inserted ice cubes, turned the crank for shaved ice, then added the sweet flavor mix! And just like that we had a tiny little yummy Snoopy Snow Cone. There are lots of “accessories” for snow cone makers now – they have special snow cone cups, straws, and tons of different flavors! 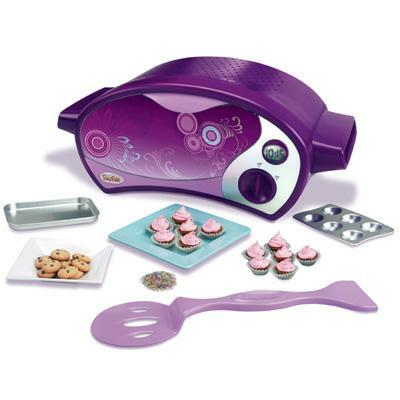 As long as we’re talking about making snacks, I might as well mention the Easy-Bake Oven. I remember very well cooking my own snacks in my very own Easy-Bake Oven, and almost always burning myself and the snack I was cooking. Guess I knew early on that cooking would not ever be my thing. But…when I had help from my big sister, the snacks turned out very yummy. So…we bought one of the new ones for Morgan, and she loves it. I think part of the reason that she loves it is because it is purple! And it has its own baking pan, a pan tool, and several little mixes to make all kinds of yummy treats. The treats she has baked seem much yummier to me than those that I baked when I was little. Maybe it’s because she is doing most of the cooking, and I get to sit back and enjoy the treats she prepares for us! And probably the simplest toy that brought me hours of enjoyment – usually in the car on long road trips, was the Wooly Willy Magnetic Personality toy. Oh my goodness…such simple fun. Both my kids received a new holiday version of the Wooly Willy in their Christmas stockings last year. It was the Wooly Willy Holiday Christmas Game Assortment. They spent so much time dragging the iron powder into position on the faces with the little magnetic wand. And after they played with it for a while, they even let me have a turn!! Still the same as it was long ago…just use the magnetic wand to move the iron powder into position to draw whiskers, sideburns, a mustache or different hairstyles on Wooly Willy, or any of the many other faces now available. 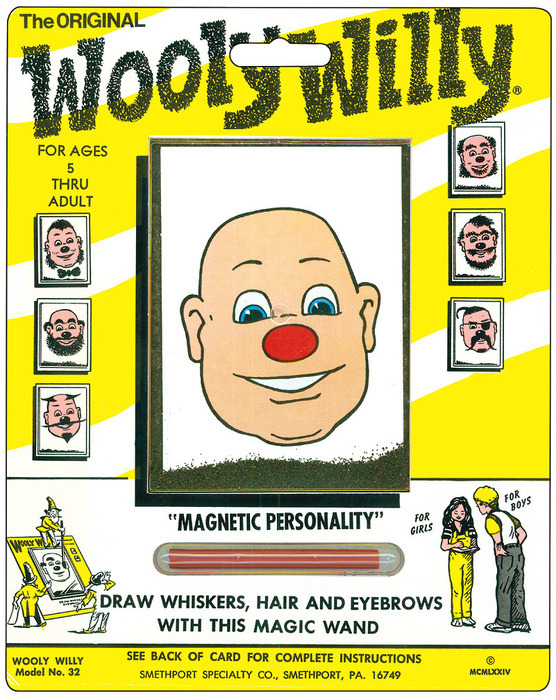 Wooly Willy, the original face from when I was a child, is ranked as one of the greatest toy concepts ever. Who knew something so simple could be so much fun?! I was watching Tomorrowland and was so excited when the little girl walked in to the toy store called Blast from the Past. Can you imagine a store like that? I would have more fun than my kids would, I’m sure! I could go on and on about so many more toys. Toys that bring back such fun memories for me! And I hope that some of these upgraded versions of the same toys will create lots of fun times and memories for my kids! And just maybe, I’ll be able to capture some of these fun times and special moments with my camera! Bottle Flipping…What is the Big Deal?